At Bay Hospitals Charity, we aim to make our local hospitals better for everyone. 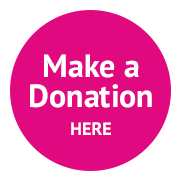 We are a registered charity set up to hold and manage charitable funds given to University Hospitals of Morecambe Bay NHS Foundation Trust. 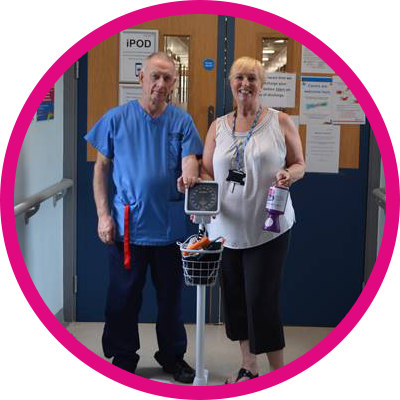 We rely on your support to help us improve the hospital environment; purchase the very latest in state-of-the-art equipment and provide extra care over and above that can be currently provided by the NHS. 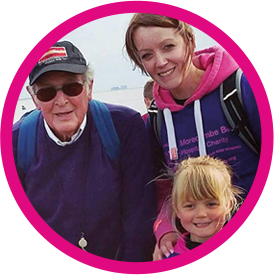 Thanks to supporters like you, we’re able to create the best possible experience for our patients and their families, and the money we raise helps make a difference to local people, including patients with cancer, those living with dementia, those who’ve suffered a stroke or new-born babies born who may need extra support. 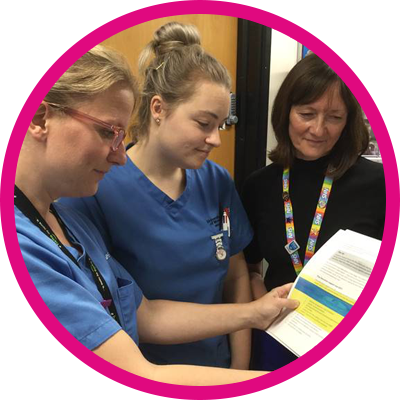 It means so much to our patients and staff that people like you are supporting our work. Thank you from all of us here at Bay Hospitals Charity for your support! 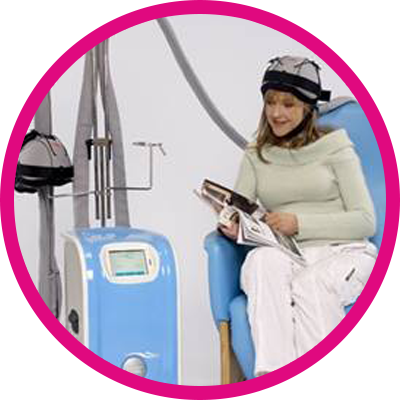 retain their hair during chemotherapy. and cost £1,875.00 to purchase. As a charity we constantly strive to make a difference across our hospitals. Your donations help us to do this. to the RLI Podiatry department. 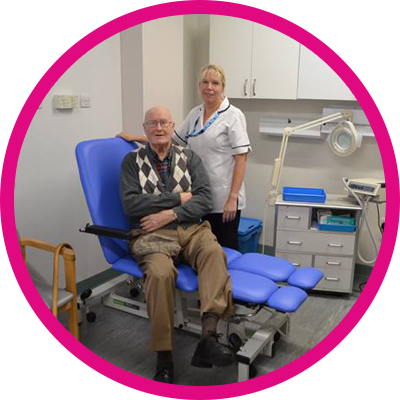 a brand new medical plinth chair for the Podiatry Department at the Royal Lancaster Infirmary (RLI). Laurence regularly attends the RLI Podiatry Department. Laurence noticed that the medical plinth chair was in need of repair. A plinth chair allows the patient to be reclined ensuring work on the heel of the foot can be examined. relating to the way people stand and walk. department at a cost of £2,000, which he kindly funded it out of his own pocket. Tracey Loder, Senior Podiatrist at RLI added; “I would like to say a huge thank you to Laurence. simply by donating the ‘extra’ pennies from their pay packets every month. to the nearest pound with the pennies donated to our charity. The most someone can ever give is 99p each time they’re paid, but the overall amount soon adds up. made a successful bid to buy the rulers to coincide with Dyslexia Awareness Week this year. to help raise these vital funds. to make blood pressure monitoring more effective. patients now benefit from more effective blood pressure monitoring. to spend more time with the patients. Bay Hospitals Charity and all our incredible supporters for their kindness and generosity.